Inland fisheries is mainly practiced in Iraq, Egypt, Syria and Sudan as well as other Arab countries. The inland fresh water made up of natural lakes; dams and reservoirs, rivers and their branches and marshes. The Iraqi inland fisheries are based in great part on Cyprinus spp., while its most important indigenous fishes belong to the genus Barbus. 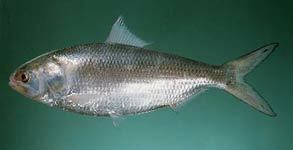 Freshwater aquaculture of tilapia (Oreochromis niloticus or O. spilurus)was introduced in Kuwait and lately in Jordan. Inland waters in almost all Arab countries are open access with no catch controls. Freshwater Aquaculture in Iraq is estimated to be 7 500 ha. The main species cultured is common carp and to a lesser extent grass and silver carp. The wetlands of Arabia, specially in Sudan, Egypt, Syria,Arabian gulf states and Iraq in particular in Lower Mesopotamia support a major fishery. Several marine fish species of great economic importance are dependent on the estuarine systems and marshes for spawning, e.g. the pomphret Pampus argenteus and the saboor Hilsa hilsa,while the penaeid shrimp Metapenaeus affinis undertakes seasonal migrations between the Gulf and nursery grounds in the marshes.This shrimp is of significant economic importance to artisanal fishermen along the coasts of the northern Gulf, particularly Kuwait (Maltby, 1994). The estimated annual catch of fish in the Mesopotamian marshes in the early 1960s was 30,000 tonnes, of which 70% were species of Cyprinidae. In 1990, FAO estimated that the total inland catch of fish in Iraq was 23,600 tonnes, with over 60% of this coming from the Mesopotamian marshes. The commonest fish in the catches, in order of importance, are "bunni" Barbus sharpeyi, "khatan" B. xanthopterus, "himri" B. luteus,"shaboot" B. grypus and the introduced common carp Cyprinus carpio. Commercial landings of the shrimp Metapenaeus affinis at the two main fish markets at Basrah during September-November 1985 averaged 1,000 kg/day.